The Republic of Ecuador is home to some of the most biologically diverse tropical forest ecosystems in the world and has approximately 10 million hectares of native forest remaining. These forests continue to be under significant threat from the expansion of the agricultural frontier, road infrastructure, and mining. 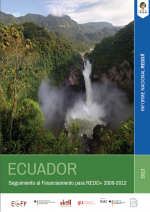 EcoDecisión in coordination with the Ministry of Environment in Ecuador and Forest Trends has tracked public and private commitments and disbursements for REDD+ in Ecuador as part of REDDX. 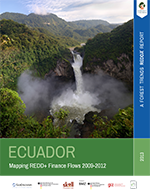 This report highlights that more than US$38 million has been committed for REDD+ in Ecuador since 2009 with US$15.8 million disbursed.